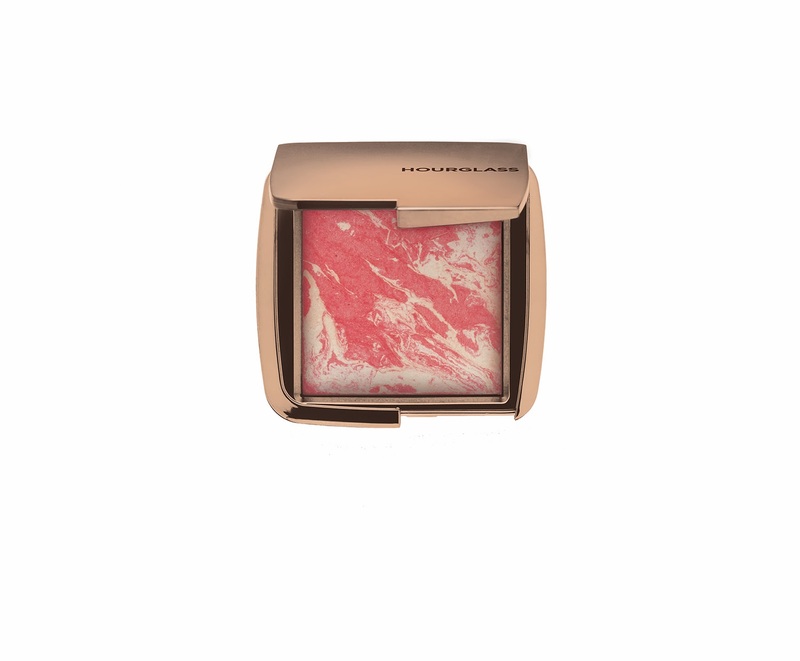 Beauty Professor: Hourglass Ambient Lighting BLUSH: February, Kindly Hurry Up and Get Here! 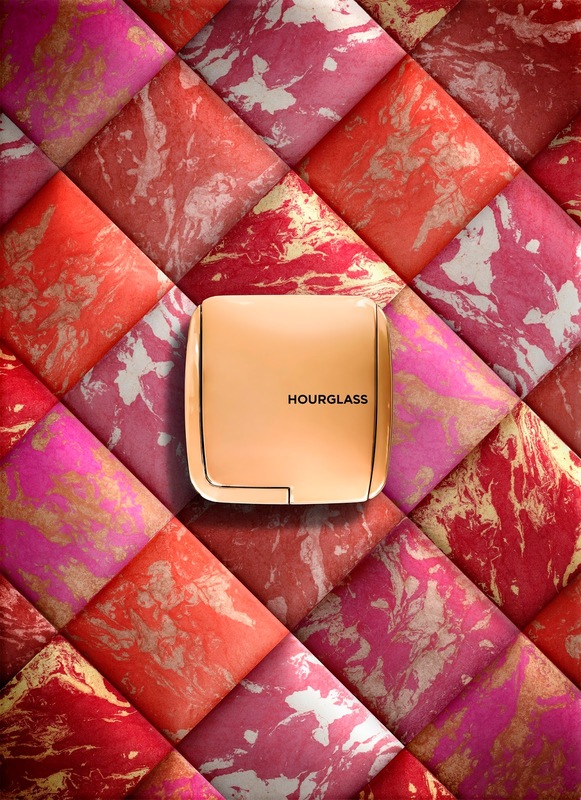 Hourglass Ambient Lighting BLUSH: February, Kindly Hurry Up and Get Here! Above: Behold! The beauty of the Hourglass Ambient Lighting Blush. In light of my love for the transformative powers of the Hourglass Ambient Lighting Powder (my review of Dim and Diffused Light can be found HERE and my video review of the Ambient Lighting Palette can be found HERE), I am thrilled to announce the impending arrival of the Hourglass Ambient Lighting Blush! This stunning "flush-meets-perfect lighting" compact blends gorgeous blush shades with the flaw-blurring, glow-inducing, perfection-enhancing properties that have made the Ambient Lighting Powders an instant cult classic. The entire range of six shades will be launching on the Hourglass Cosmetics website on Thursday and will be available at all other Hourglass retailers in mid-to-late February! Above: Mood Exposure...a soft plum blush fused with Mood Light to brighten the complexion. Above: A vibrant poppy blush combined with Diffused Light for a subtle halo effect. Above: Ethereal Glow... a cool pink blush fused with Ethereal Light for a moonlit luminosity. Above: Dim Infusion...a subdued coral blush fused with Dim Light to add warmth. I agree, Ellie! I simply cannot wait for their release and, because of the powders, have high expectations for these blushes!! I look forward to this! I am currently in love with Illamasqua Katie (thanks to you, of course), especially because it brightens my complexion with zero shimmer (unfortunately, being a cardiologist means I need my makeup to always be shimmer free and subtle:(). I hope this doesn't have any shimmer, like diffused light. I have my eye on either the cool pink or the plum. The cool pink reminds me of katie, but I love the description of the plum: brightens my complexion...I could always use that! I have pitch black hair and fair skin and I like to embrace the fair skin, rather than warming it up with bronzers. What are your thoughts behind the plum? I've never tried a plum blush. I've always stuck to pinks, like Illamasqua Katie, Benefit PosieTint, and Dior rosyglow. Good to hear from you!! I am so glad that you love Katie...I simply cannot get enough of this blush and wish I would have tried it sooner. The fact that it is shimmer free but not overly powdery is just sublime! You're a cardiologist? How marvelous ; ) I am certain that you win for being the doctor with the BEST makeup collection ever! I think that the plum shade could be gorgeous, too...especially if tempered by Mood Light to make it soft, yet bright. Because something in my chemistry tends to make everything a bit darker (! ), I will likely start with the Ethereal Glow and branch out to the plum and/or rose...can't wait! I am glad we are on the same page with a natural and polished makeup approach...I, too, can't be too "over the top" when lecturing so I am always scouting out nudes and long-wearing options!! Many thanks for your kind words, MG...I am so glad this blog has allowed our path to cross! Hi!! I love that you posted pics with Sebastian! I worked with him at Bobbi brown for years! He is amazing so proud of him!!! Thank you...he is such a charming and talented man and I was glad to meet him in person!! These blushes are already on sale at sephora too just incase you didn't know!